second AMD5120 serial port ! The craft knife or scalpel is very sharp and ends in a point. Press down hard at the bottom of the pin where it bends. Bend the knife back and forth till you feel the pin cut through. 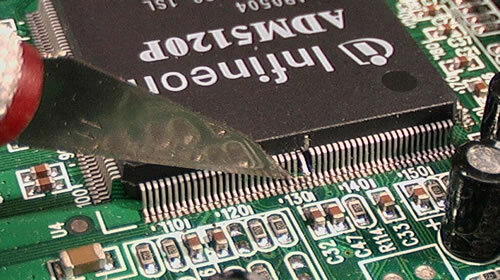 Beware of wire that is too stiff - one of 20 cpu wires I have cut failed after some months due to too much strain. 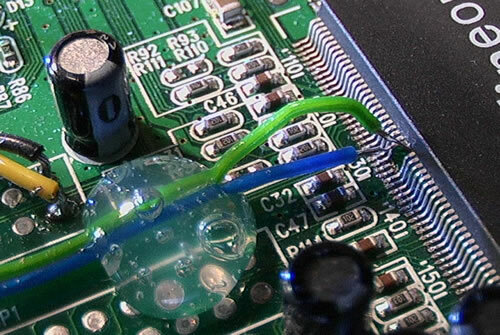 - built on 0.1" matrix board. 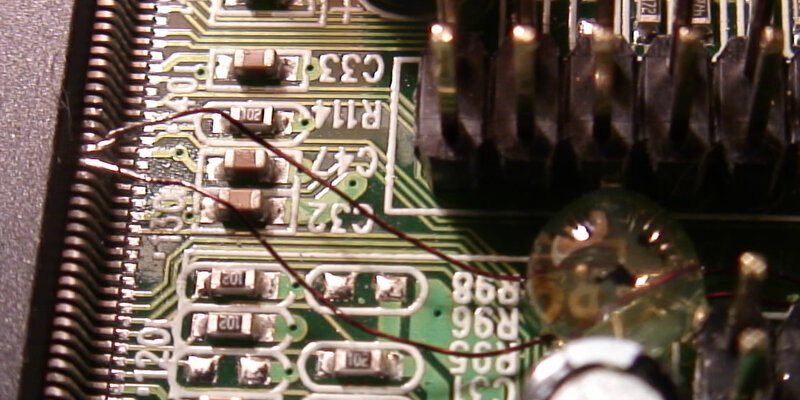 - two of the capacitors fit within the DIL chip socket.